In addition to showing that most students in Illinois still can't read or write at grade level, the state's newest school report card shows both teachers and public school administrators are making more money. 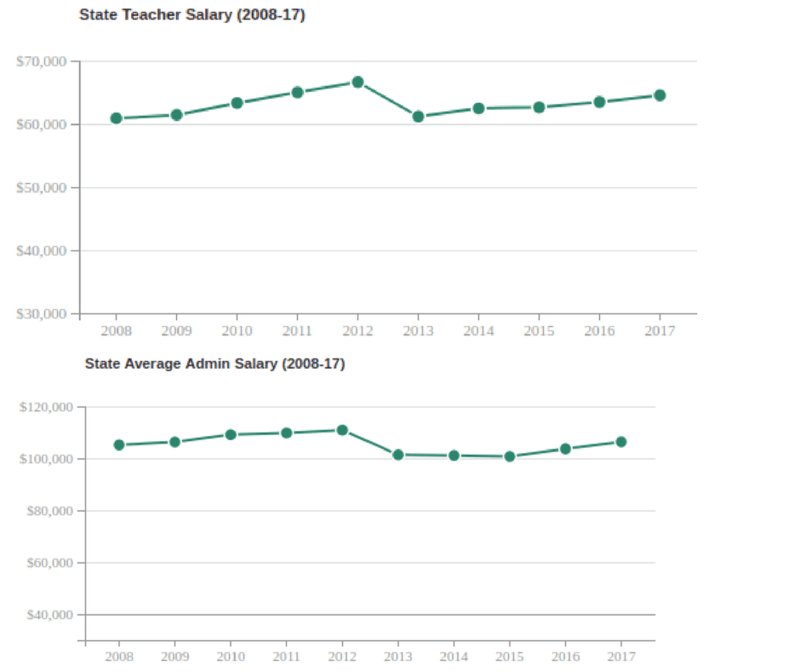 According to the latest Illinois Report Card, the average teacher salary in Illinois jumped over $1,000 this year, to $64,516 annually. The average paycheck for a school administrator jumped over $2,500 to $106,273a year. While teachers and administrators are making more, student performance is largely flat across the state. Illinois lawmakers don't have a good explanation as to why. State Rep. Dan Brady, R-Normal, said the legislature needs to push for accountability. "The money that the General Assembly appropriates, we need to make sure that gets to the classroom," Brady said. State Rep. Bob Pritchard, R-DeKalb, said if parents think teachers make too much, they should talk to their child's school. "[Pay] is a local decision," Pritchard said. "Local school board sets salaries." Andrew Nelms with Americans for Prosperity in Illinois said that's not a good enough explanation. "That's true," Nelms said, of course local schools set salaries. "But oftentimes these decisions are made with very little public scrutiny." The 2017 Illinois Report Card said that only 37 percent of Illinois eight graders can read at grade level, and only 31 percent can do math at grade level.